Charleston Chews were one of the earliest candy bars to capitalize on the use of the freezer in a home refrigerator. Many a Charleston Chews lover has enjoyed their treat by freezing and then smacking it on a hard surface to create many bit-sized pieces. Freezing the candy kept it chewing made made it a little less goopy and more manageable to eat. The shape of the bar has changed a bit over time but the delectable ingredients taste just as great as the did over 80 years ago. They have a chewy flavored nougat with a delicious chocolatey coating. Ownership of the company has changed several times over the years but today, Charleston Chews are made by the tootsie company and come in three delicious flavors: Vanilla, Chocolate, and Strawberry. 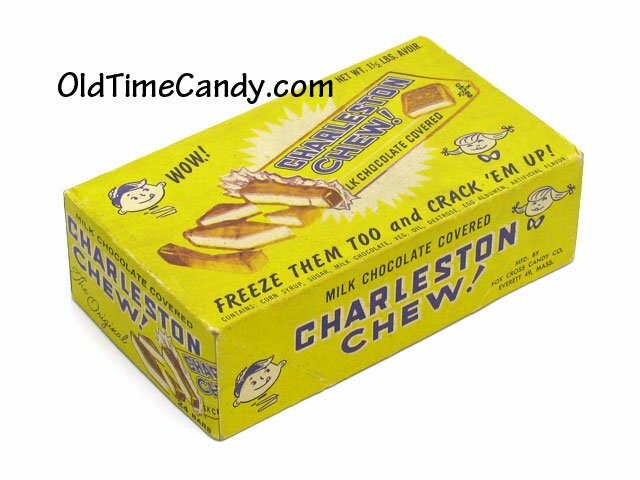 Whenever I came home from college to visit my brother in high school, we would always go out late at night to stores that were open and buy a Charleston Chew! Then we would sit in the care and savor it and discuss how delicious it was, always saving some so we could take it home and freeze it.